Attracting your knives with concealed magnetic power. Keep your kitchen utensils safe and present them stylishly! A heavy sheet of stainless steal makes for a safe stand. The combination of wood and stainless steal creates a great focal point in your kitchen! 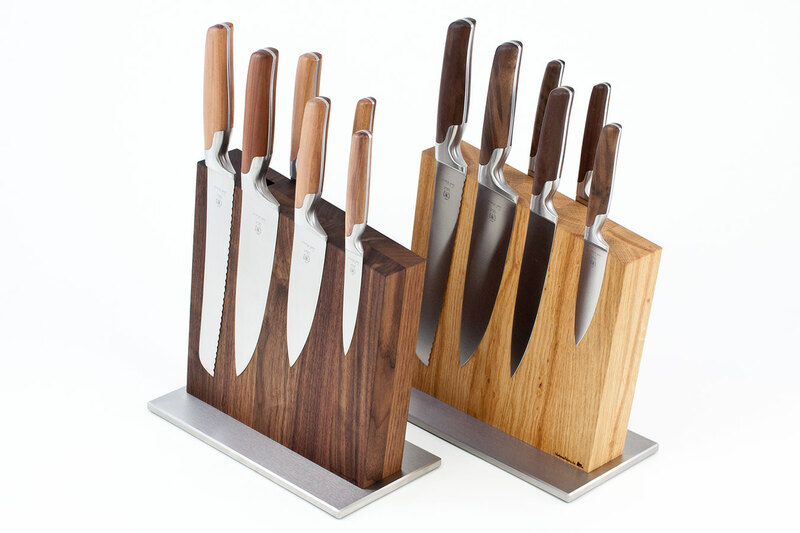 By the way, the magnetic knife block comes in oak, nut wood, beech or fumed oak. Storing your kitchen knives in drawers blunts their edges, thanks to the constant clashing of the blades. 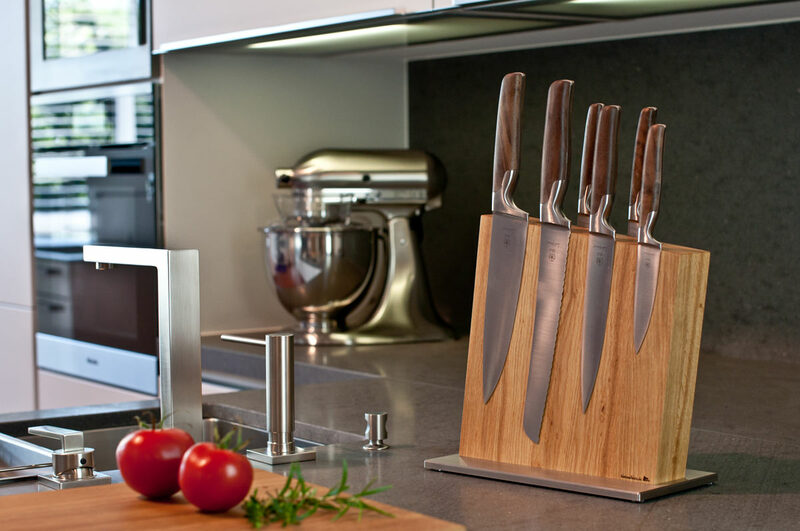 That’s why we recommend a knife block for your kitchen - to ensure a proper storing of your kitchen knives. Rubber nubs attached to the bottom of the heavy sheet of stainless steal protect your kitchen surface. A space for a sharpening steel (16mm x 12mm) is optional. 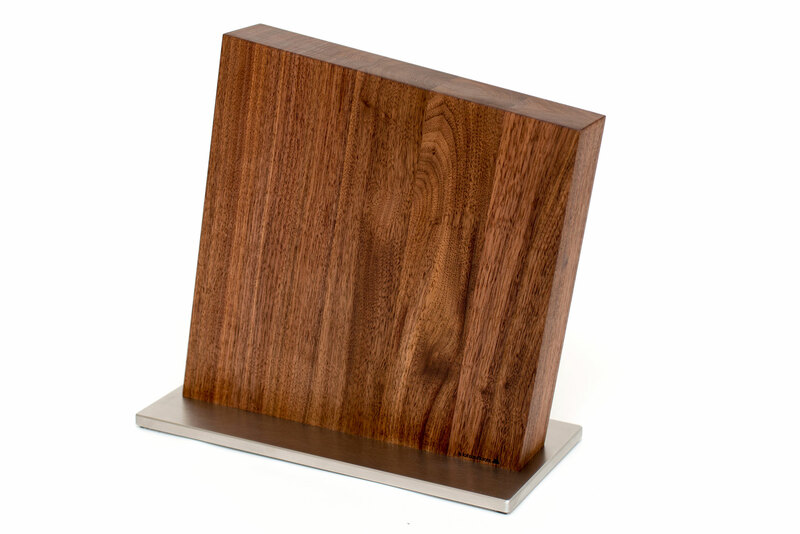 We also offer a wall mounted knife block and knife racks in addition to the classic knife block. They are great alternatives for tight kitchen spaces. Get the right equipment, so you can get cooking!